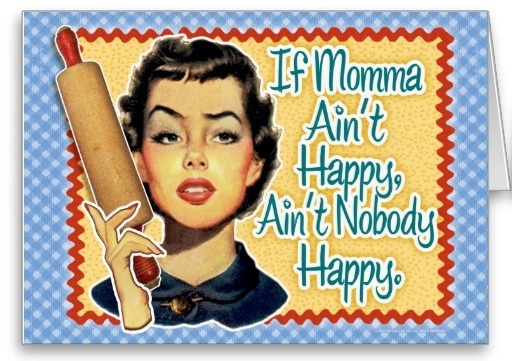 I am sure many of you have heard this old adage before: “If Momma ain’t happy, ain’t nobody happy.” I can say that was totally true in my house. My four kids knew there was a time to get serious and brace up. It was usually announced with a resounding ” That’s it.” They would scurry about rectifying any damages already incurred and the chore list would be accomplished with record speed. So what has me up in arms? Let me first say that I am very happy that our sailors have been returned. 36 hours ago things looked very dismal. I remember the hostage taking in the late 70s. My father and husband served in VietNam where the risk of becoming a POW was very real. Upon his return my husband was tasked to help a seven year POW get back into the cockpit. We listened to his stories and were horrified by all he endured. Later on before I left for Afghanistan I went through hostage training in the event I would be kidnapped. Becoming a prisoner is truly terrifying and an experience we would never want to happen. I am beyond thrilled that everyone was returned. Let me say to you back seat drivers who want to second guess our sailors and their actions, THAT’S IT!! Who are you to speculate and pontificate about what happened? Were you there? Just because you have found a platform as a talking head you do not have the right to undermine the honor of these men and women. To those of you who take great joy in leaking anonymous tidbits of non verifiable information, it must be titillating to see your words in print at the expense of those who need our support now more than ever. I am angry. Unless you have been a Prisoner of War in the exact same situation you have no right to speculate. You do not know the facts. Please news organizations, just because someone is a retired officer, they do not necessarily have the knowledge to bring anything to this event. Quit giving these know it all’s a platform. This is what I know-those are someone’s loved ones who have already been through hell. We do not need to pile on. It is dishonorable-and yes I am talking to you who criticize the actions of someone being HELD and who makes a statement. You have a very limited knowledge of what has happened in the past when people are held and forced to speak. We have no idea what was really going on. As the mom of four military officers I trust Americans to have my back in the event of a tragedy. I do not expect to see them dragged through the mud by holier than thou pundits who have never been in that situation YOU NEVER KNOW WHAT YOU MIGHT DO IF YOU WERE IN THEIR SHOES. We do not know what threats may have been made or what they were trying to prevent. To my fellow military families, make some noise. Let them know that we do not want our children and loved ones tried in a media circus. They do not deserve that. Time will tell what happened and hopefully the military will use it as a training tool. Perhaps SERE school training needs to be available to all. But the big lesson in something like this is we don’t need speculation and judgment. We need to be grateful we do not have ten more Prisoners of War or even worse to pray for. I feel exactly what you are saying. We do not know the full story. And until we do, it is best not to speculate. I will tell you it was painful to see the images of our sailors captured on rheir knees, and to hear apology after apology without knowing the facts. My heart broke a little more yesterday for our brave sailirs. We don’t know why they apologized-it could have been to protect each other. We cannot assume anything said was true or uncoerced. That is why we need to support them and their families. Thank you for your support of them. Like you I am military mom, with a strong family history of family military service. I appreciate all that you share. Right there with you, sister-friend! The press are vultures. The 24 hour news cycle is very little more than ignorant evil. Having lived through the bombing of the Marine barracks in Beirut, friends who died in Grenada, knowing one of the POWs in the first Gulf War and too many aircraft crash fatalities, I have a horrible base of truth to stand on and say this. My son was in that exact location last year at this time doing what those fine young men and women are doing today, for us for OUR FREEDOM, FOR OUR COUNRTY! I cried as if it was my child because I know all the dangers and what could happen to our sailors. I thank god daily he is home now, I pray hourly for those deployed in all branches. I couldn’t stop thinking about the mothers of all those sailors and how they must be so frightened and sick with worry, I couldn’t sleep for worrying about our sailors. Were they being treated well, were they cold. hungry, scared? Now they are being ridiculed for what they may or may not have said. I realize now that when my son chose to serve our country how many brothers and sister he inherited and just how many child I now have! DONT MESS WITH MY KIDS!!! Thank you for putting into words what has been weighing heavy on my mind all week. I am new to being a military mom. So appreciate you all in guiding me.